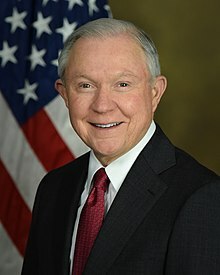 US Attorney General Jeff Sessions will appear Tuesday [June 13th] at a public hearing before the Senate Select Committee on Intelligence to testify in the investigation into Russian tampering in the 2016 presidential election. "The Attorney General has requested that this hearing public," Justice Department spokesman Sarah Isgur Flores said. "He believes it is important for the American people to hear the truth directly from him and looks forward to answering the committee's questions tomorrow." What time: The hearing begins at 2:30 p.m. ET. What channel: CSPAN, CNN, MSNBC and Fox News will be broadcasting the hearing live. Other networks may also be showing questioning and testimony. Live streamed: CSPAN will live stream the testimony at C-Span.org. "From the beginning of this investigation we have committed to follow the facts wherever they lead us. This announcement serves to demonstrate that commitment. Mr. Kushner will certainly not be the last person the committee calls to give testimony, but we expect him to be able to provide answers to key questions that have arisen in our inquiry. The timing of Mr. Kushner's testimony is still being determined, but will only come after the committee determines that it has received any documents or information necessary to ensure that the meeting is productive for all sides."